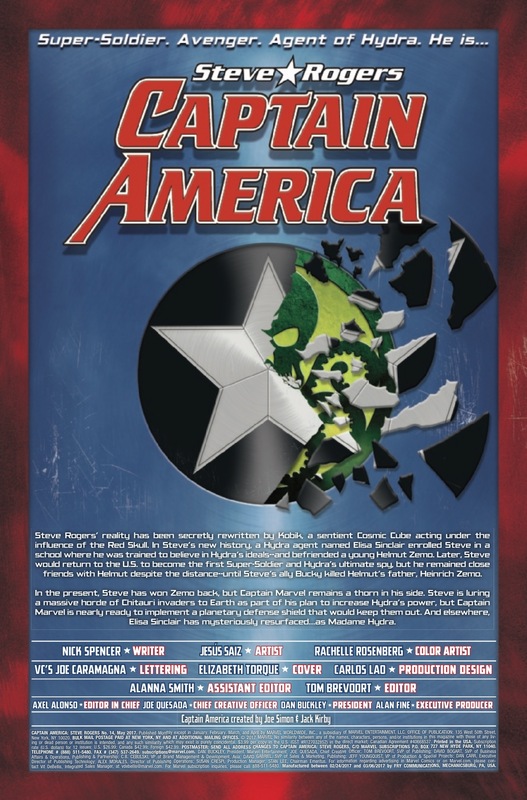 With the focus firmly on Secret Empire, Captain America: Steve Rogers #14 suffers from being there only to kill time until the major event begins. Sigh. What happened to you, Captain America: Steve Rogers? You used to be so interesting and so good. Every issue was a mystery and an action-packed adventure like no other. Now, you’re…this. A shadow of your former beautiful self. 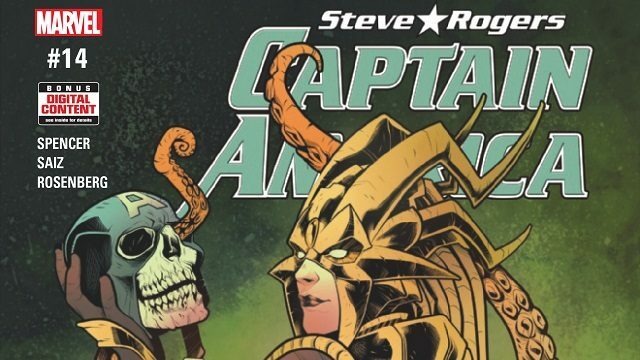 In what’s quickly descended into a tragic fall from grace, Captain America: Steve Rogers #14 has pulled up a chair and comfortably settled in the throes of mediocrity. 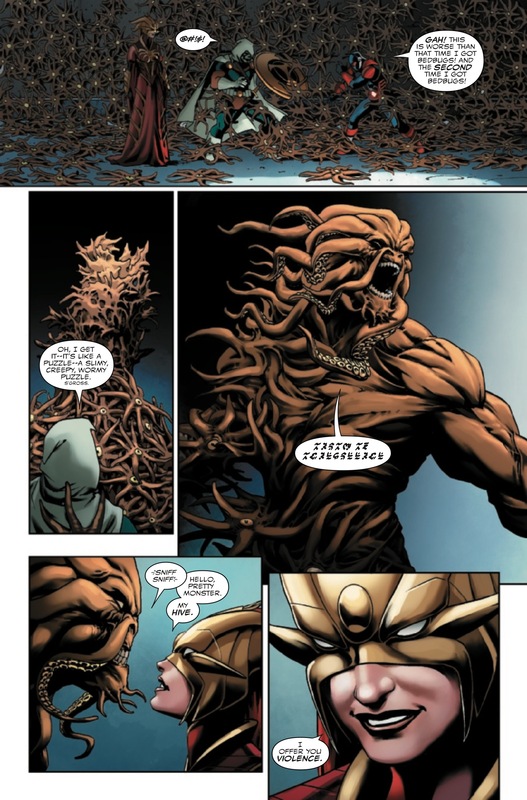 Even the big reveal at the end does nothing to salvage this issue from its own lethargy. Once again, this book becomes about another character despite its title. 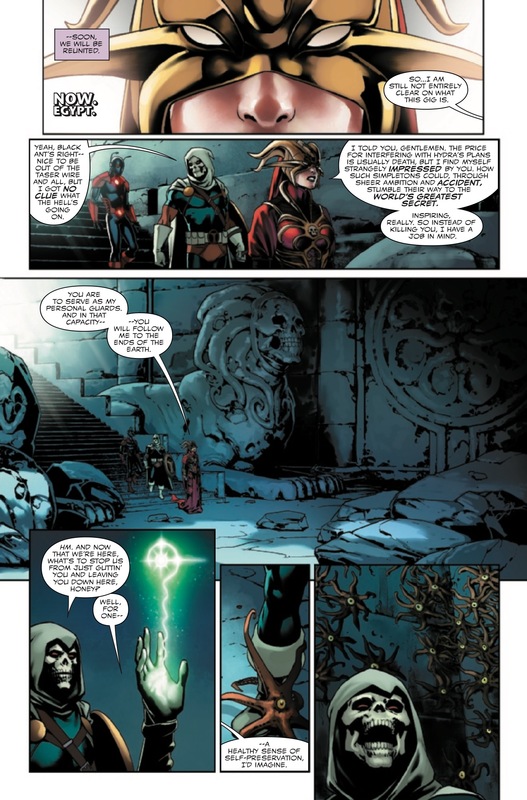 This time, the focus is firmly on Elisa Sinclair, aka Madame Hydra, as we explore her history with Steve and her formation of the new High Council of Hydra. There are a couple of returning and familiar faces, which should delight fans, but I wonder why this enlistment process took up the bulk of the story. 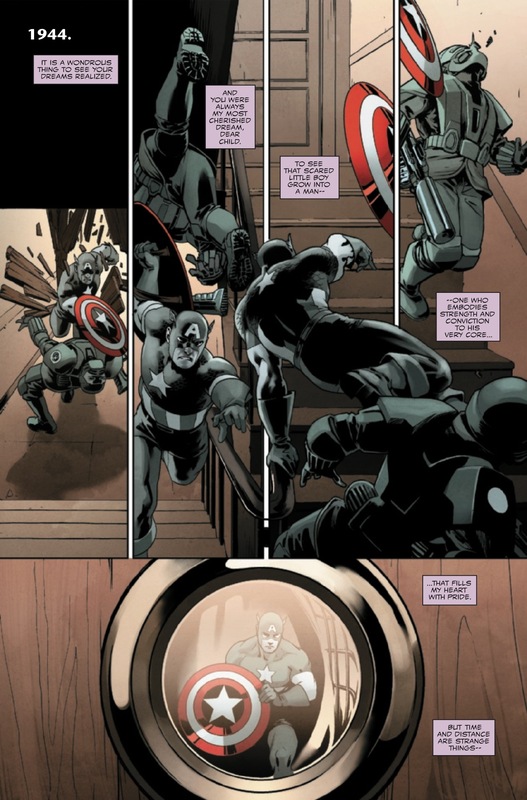 In Captain America: Steve Rogers #13, I praised Ro Stein and Ted Brandt’s 16-panel treatment of Baron Zemo’s recruitment drive. Here, a similar thing is unnecessarily dragged out. Why? Was there too much space left to fill? 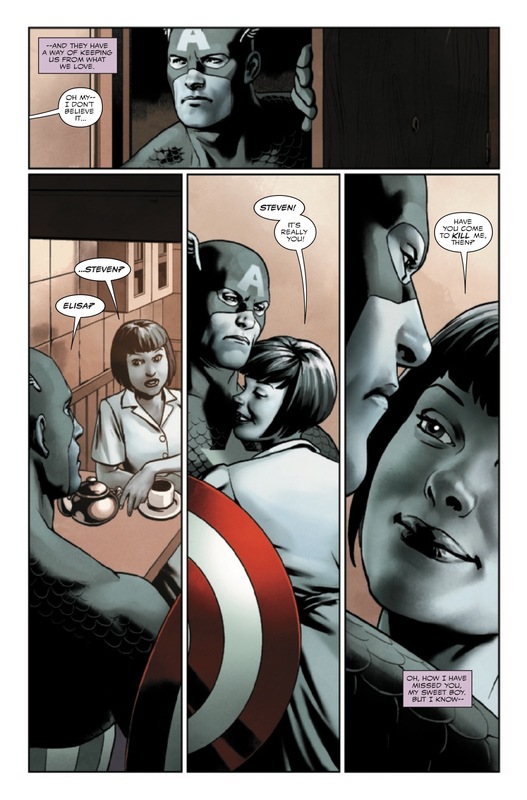 Also, shouldn’t this be more about, you know, Steve Rogers? Speaking of which, poor old Steve suffers another stint as a supporting character in his own book, being limited to flashbacks and six whole pages debating with Captain Marvel about her shield idea. 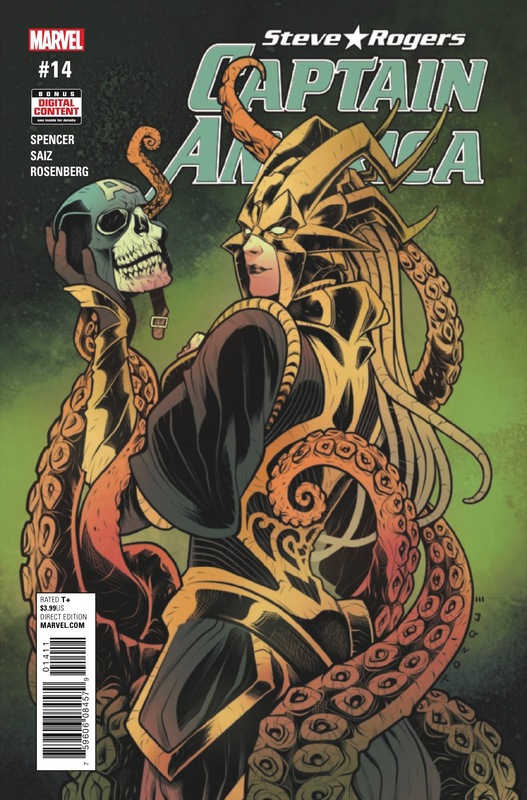 That said, this small portion of the issue does more to further the plot than Madame Hydra’s drawn-out affair that borders on Rita Repulsa-like hilarity. While it’s easy to point the finger at Nick Spencer for this, I have a feeling this was a higher up decision to accelerate the Secret Empire proceedings while limiting any major plot development. Well, Marvel’s Senior VP, Tom Brevoort, did say this event would be a Michael Bay blockbuster, so maybe they’re applying Bay’s clunky storytelling method, too. Returning to the pencils for what feels like the millionth time, Jesús Saíz’s artwork is this issue’s sole redeeming quality. Even if the story’s about as exciting as a Jamie Kennedy film, Saíz at least makes it pretty to look at. He isn’t given a lot to play with here, but he’s done the best with what he has and that’s worth a mention. At the same time, Rachelle Rosenberg deserves credit, too – not only for this issue but for the terrific coloring job she’s done throughout this series. Her treatment of the flashbacks, in particular, has become a hallmark of this book. It’s disappointing to see how the quality of this title has dipped over the past few weeks. The fun and excitement have disappeared, leaving behind obvious filler material to kill time. Frankly, I cared more about Captain America: Steve Rogers before all of this Secret Empire nonsense was officially announced. If anything, the event has harmed what used to be a really good book and left a bitter taste. Right now, it feels like this vehicle’s only going in one direction and it’s quickly running out of gas.